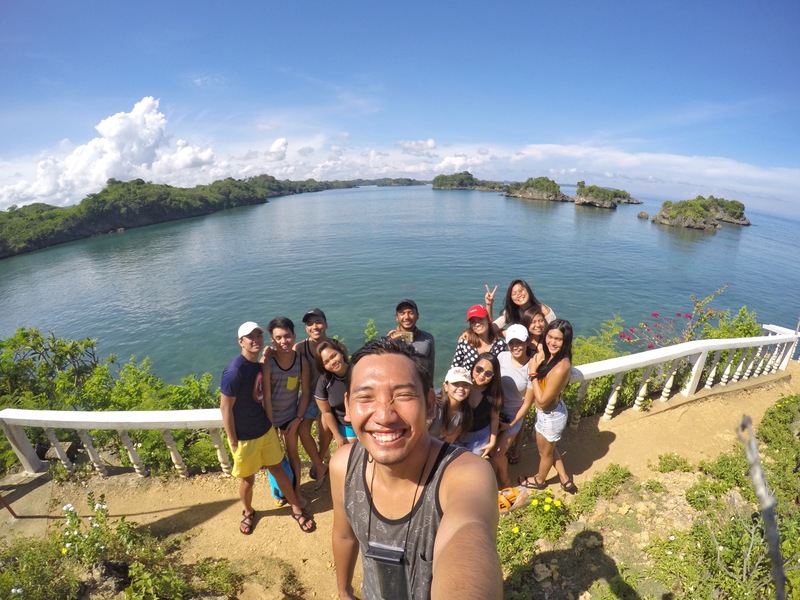 This is part 4 of our Visayas Tour. Click here for part 1! 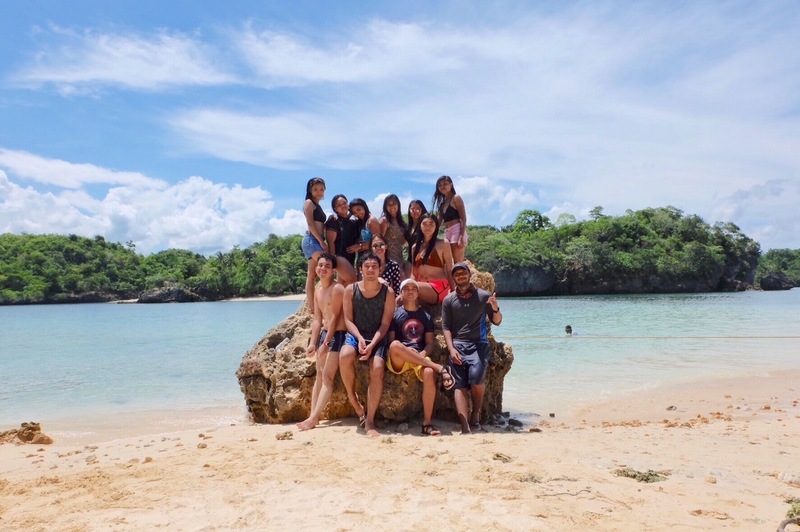 Fast forward to the last day of our of Western Visayas trip, we decided to set foot in the small island of Guimaras situated between the islands of Panay and Negros. 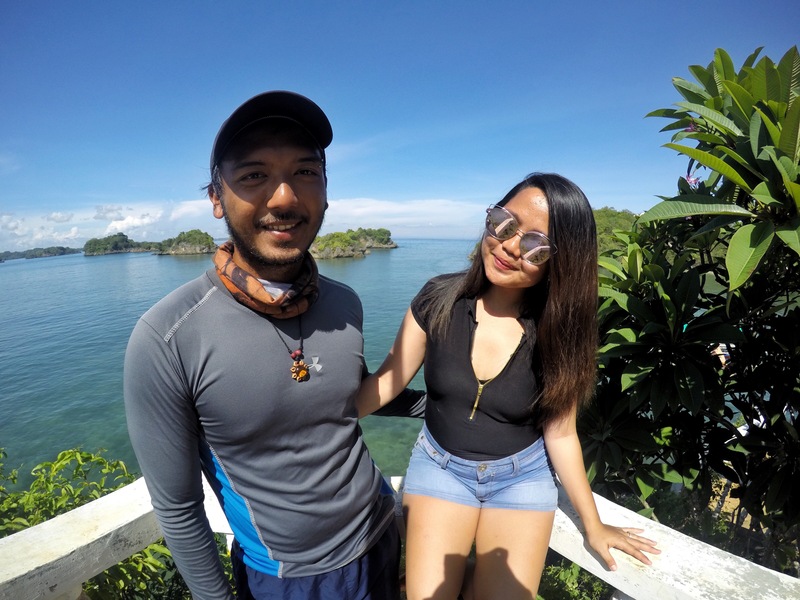 Fresh from our Islas de Gigantes tour, it took us 4 hours to get to Ortiz Wharf from Bancal Port which is the entry point if you’re coming from Iloilo. 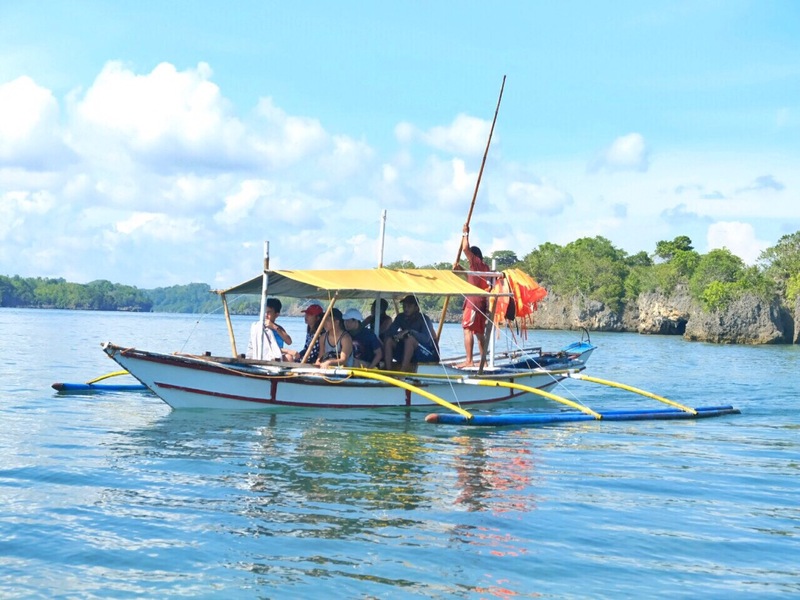 From there, several passenger boats bound to Guimaras often leave every 20 minutes or whenever it gets full. I guess it was only a 15 minute boat ride? One of my friends hasn’t even finished browsing his phone and exclaimed, “Saan kayo pupunta? Bababa na ba?”. I can’t stop myself from laughing! Na shookt ako bes sa bilis ng byahe. Arriving at Jordan Port, you can charter a tricycle to bring you to your preferred resort or a multi cab if traveling with a group, thus we chose the latter. Prior to our visit, we already called Kuya Joel (owner of multicab) to ask which budget resort he can recommend for our overnight stay. 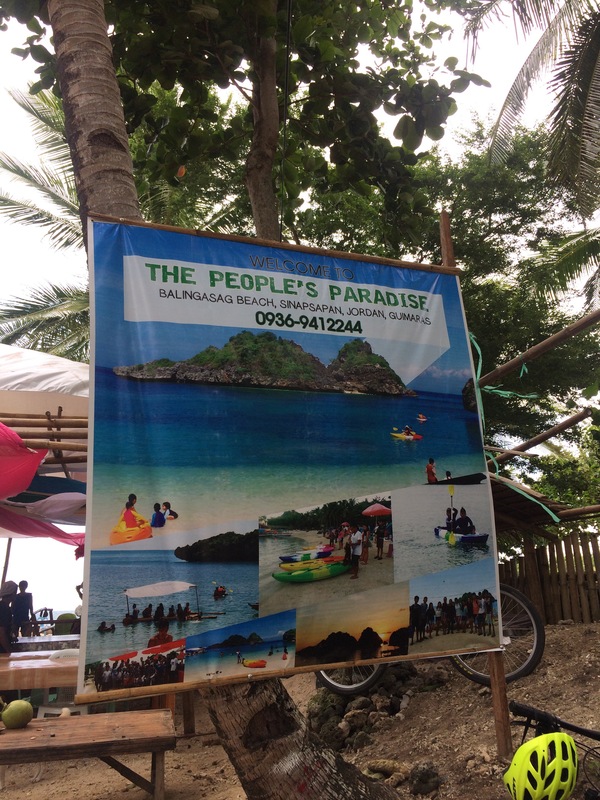 He advised The People’s Paradise at Balingasag Beach since it has a larger place where we can pitch our tents aside from the fact that it’s cheaper. The travel time from Jordan port to the resort was almost an hour and the sun had already set when we got nearer to our destination. At first, it was a smooth ride but you’ll know if you’re almost near if the road gets rougher and steeper. The road was so steep we even had to alight from the our vehicle and press on by foot. Imagine doing a night trek in complete darkness in the middle of what seemed like nowhere. 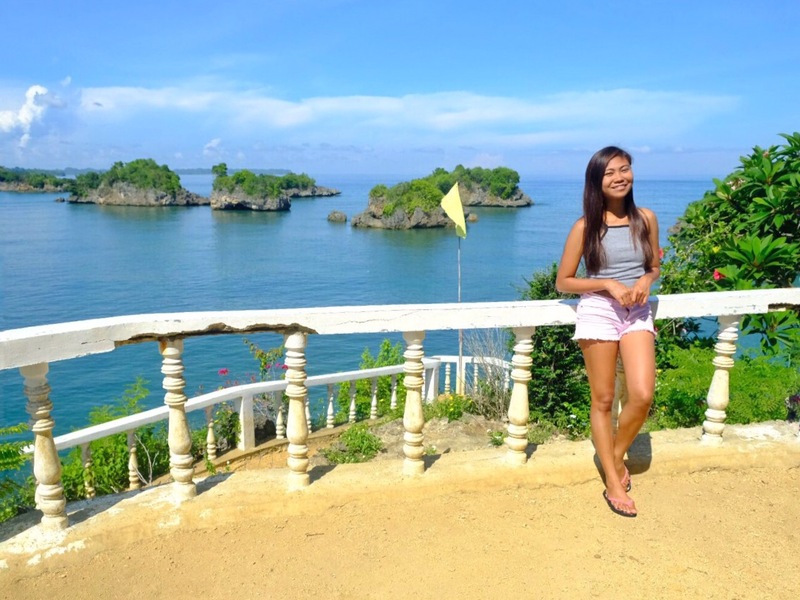 It was very easy for us to recall the aswang stories by the locals and scare ourselves. Weary and hungry we finally arrived at The People’s Paradise. Everyone pitched their tents first, took a bath and prepared for dinner and since it’s our last night –ilabas ang tatlong emperador! Just kidding, we only had two. I got really intoxicated that night so I was so ecstatic when breakfast plus Guimaras’ pride, mangoes, was served the following morning. 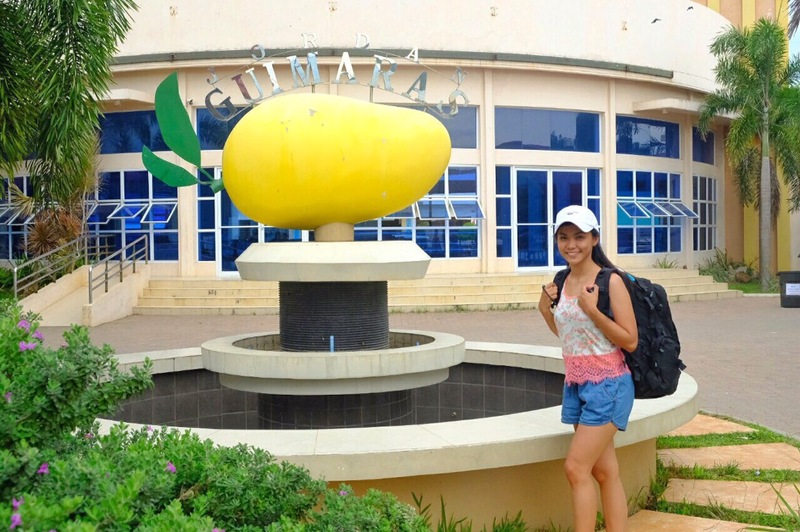 How can you leave Guimaras without a taste of their export quality mangoes? They were even served half ripe but the sweetness and succulence were extraordinary! 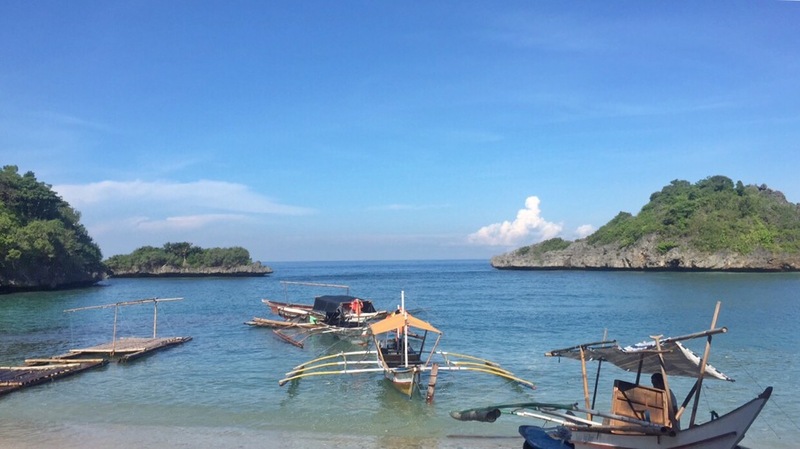 Soon after breakfast, we went island hopping and rented a boat. They charged us 800 php for the first 3 hours plus 150 php for every succeeding hour. 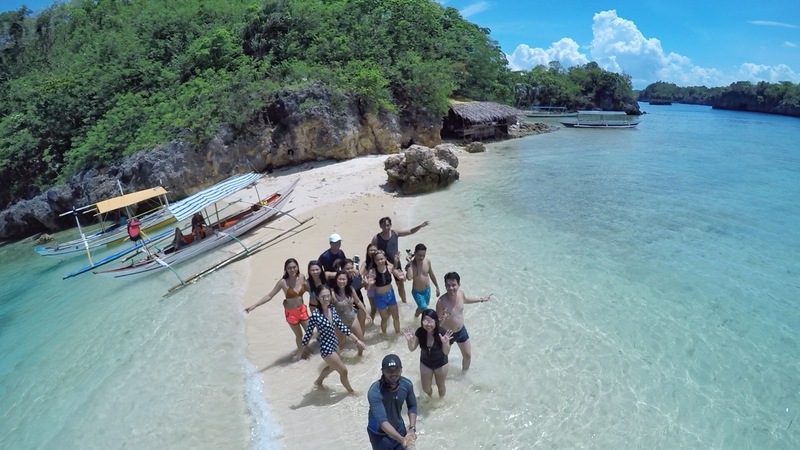 We thought 3 hours would be quite short but it was actually enough for us to enjoy the beautiful islands. 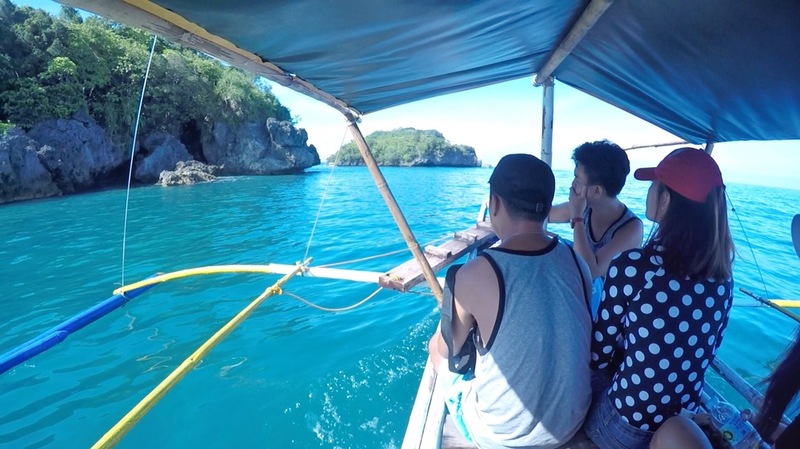 On the way to the first island Natago Beach, I was in awe on how the province is graced with clear turquoise water and scenic rock formation. 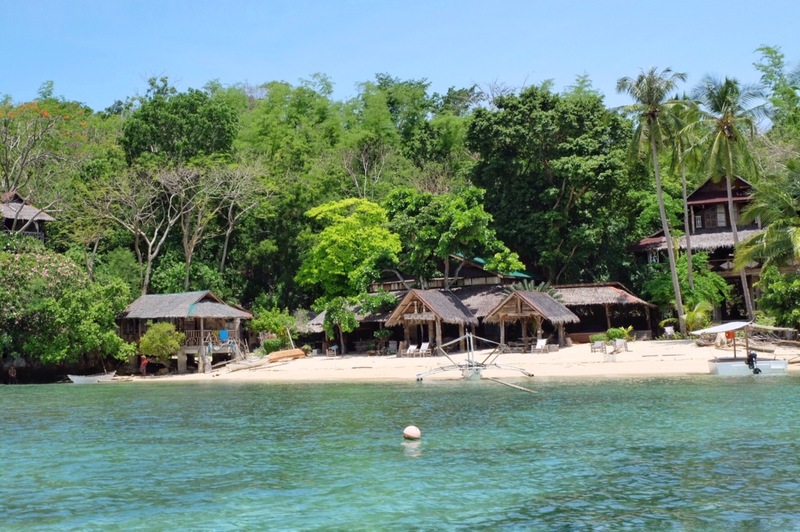 Natago beach was privately owned so we skipped it and headed to Lamurawan Island. 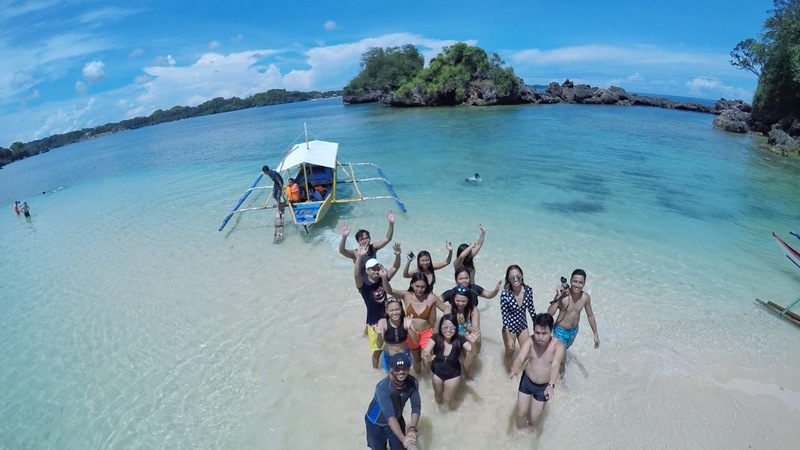 Before we docked at Lamurawan Island, all of us got disappointed when we saw a dead turtle floating in the water. We asked our boatman if he knew what happened and said it got tangled in a fishnet. A poignant reminder that this happened because of our own selfish desires -may it be intentional or not. Last but not the least is Ave Maria Island where we spent most of our time. The island offers a stretch of white and powder like sand. Also, on its other end you’ll find rock formations and a cliff dive spot. Just a few advice: be sure to wear sandals/slippers since the rocks are razor sharp. Be careful while climping to the top of the cliff and make sure you a life vest if you are not a strong swimmer. Going back to the resort, we all felt empty and exhausted. Good thing we asked the caretaker to prepare the lunch beforehand so that as soon as we arrive, we won’t have to wait long for lunch to get served. Again, we had mango for the last time. Truly the greatest thing since slice bread. Time went really fast as we prepare to leave Guiamras. We still had 1 more place to visit before heading back to Manila and that was Garin Farm in Iloilo. Total travel time to Garin farm from Guimaras is around 2 to 3 hours so we were quite hesitant thinking we might not make it in time since it closes at 5 and it was already 2 PM when we arrived in Bancal port in Iloilo. But still we took a risk and hired a van to make our journey faster. We arrived in Garin Farm just in time and since it was about to close, we were the only visitors there. It was a long walk from the main entrance. You’ll have to go through a tunnel of vines before you arrive at the entrance of the pilgrimage site. There are lots of animals in Garin farm so expect the scent of animal poo. The top of the pilgrimage site was not in view until you go under a beam. I loved their concept of having a low beam at the entrance. 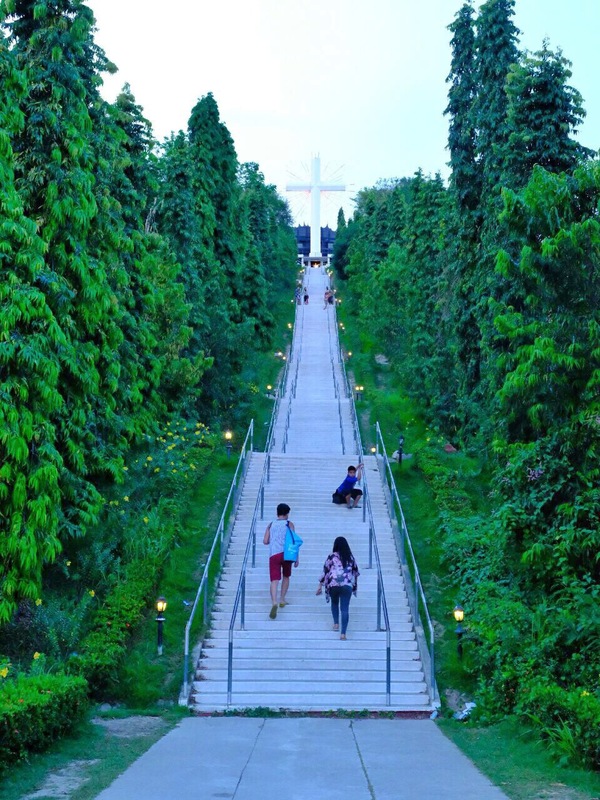 It definitely requires everyone to bow down before climbing the 400+ steps to get to the Divine Mercy Cross. Going to the top was no easy task. 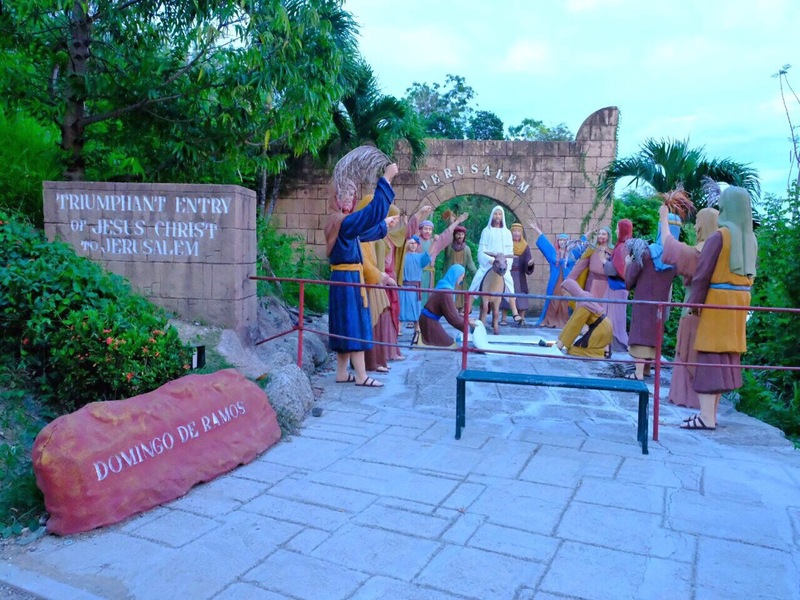 Good thing there were statues along the path which depicted major events in the Bible like the Noah’s Ark, Garden of Eden, The Ten Commandments and even the Stations of the Cross. 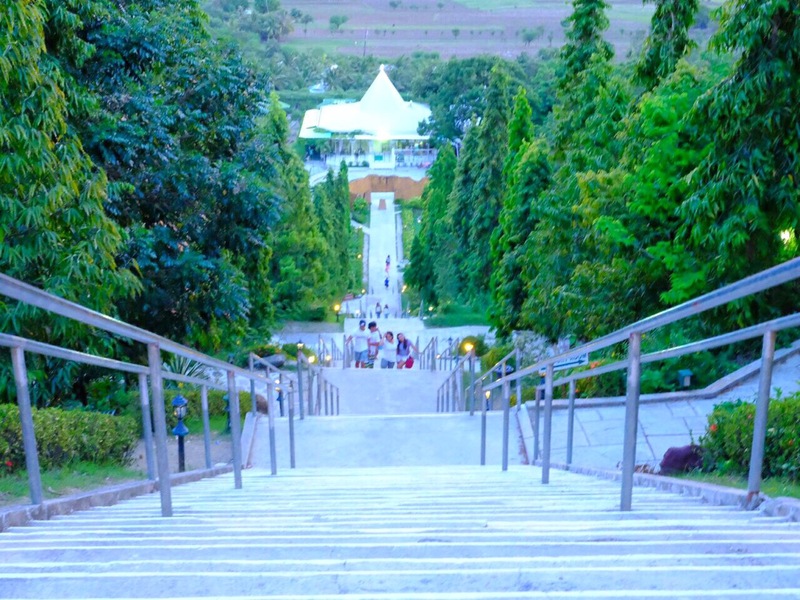 The long climb portrays how you will face tough and difficult times in life but through God’s grace you will overcome. 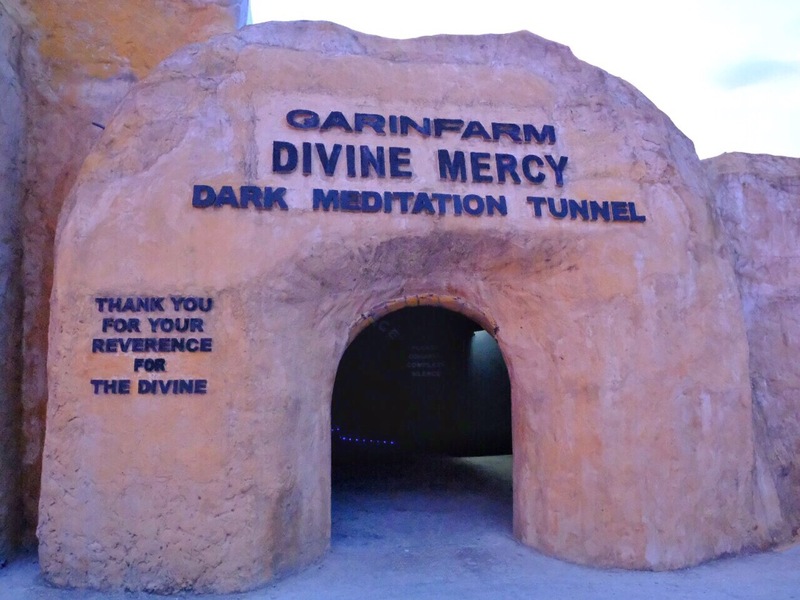 Once at the top, you will have to enter a dark tunnel which symbolizes sin and in the middle of the tunnel you will see a statue of Jesus illuminated by a very bright light. This symbolizes the cleansing of our sin through Jesus Christ. We continued walking from their and when we got out of the tunnel, we were amazed of what we saw, a glimpse of heaven on Earth! The whole place was painted white! 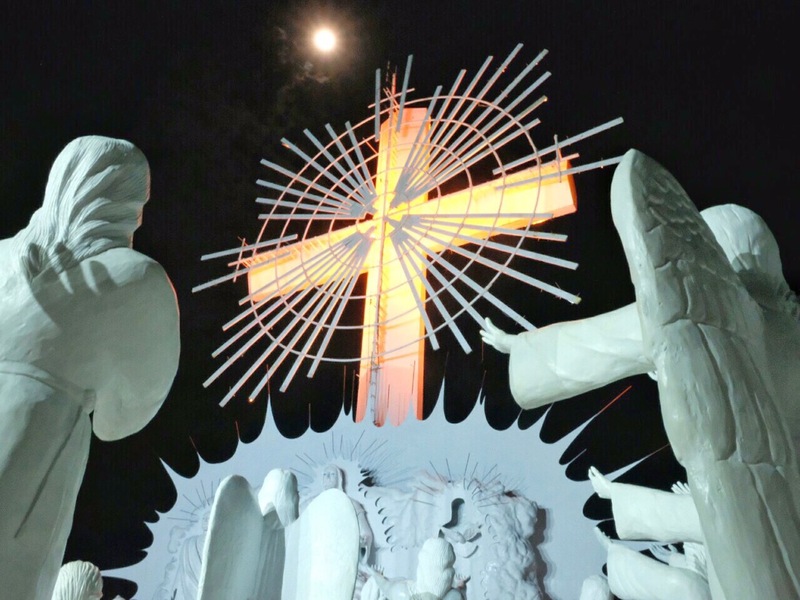 With the majestic back ground music, bright lights, the orange hue coming from the setting sun, and angel statues worshipping the towering statues of the Trinity really made us feel like our burdens were lifted! It was a very solemn yet majestic place which made me realize how blessed and thankful I am for the trip and the whole team. It was a really a great way to conclude the trip! Watch The Heliopaths 3rd Anniversary feat. 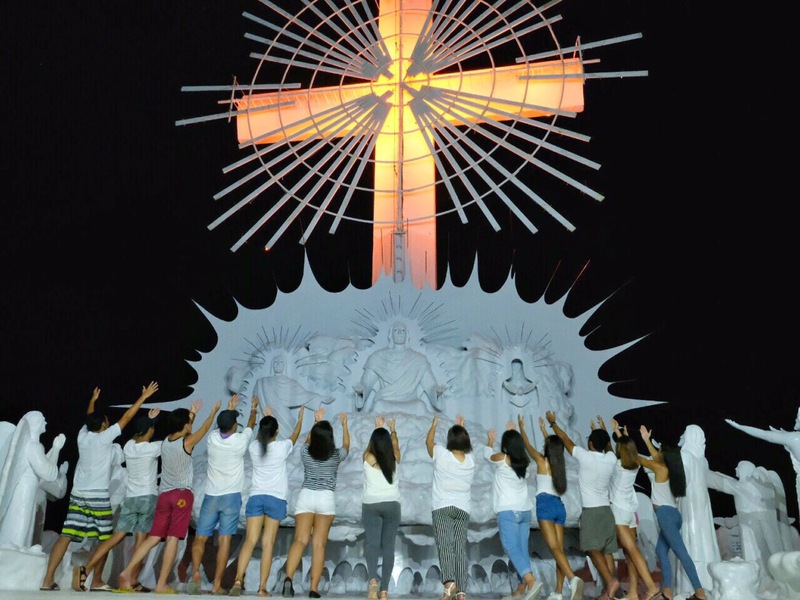 Visayas!